Some of you may remember a week before Thanksgiving all I could think about was cheese dip. I really wanted to share this recipe then but I did good and I stayed on topic with holiday goodies. Now that the holidays are over and National **Un-Official** Dip Week is here I can’t wait to share it with you as promised! 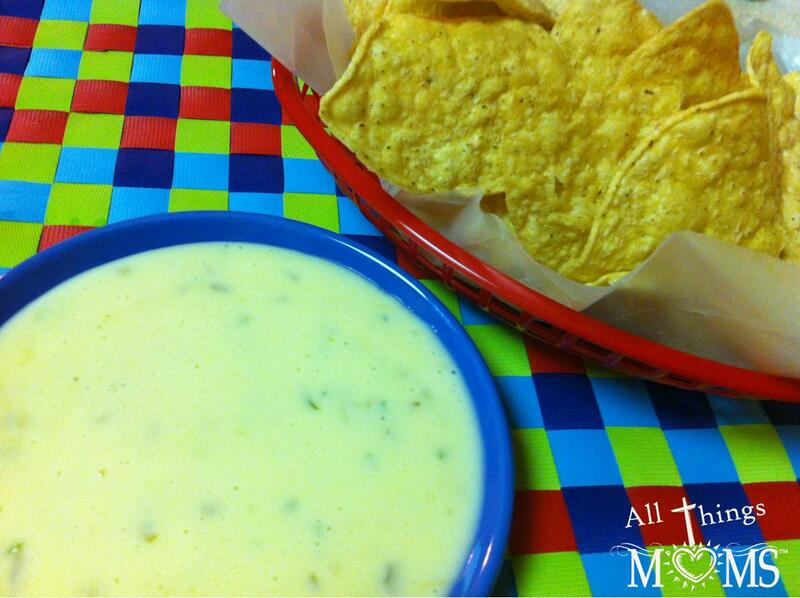 Once you try this cheese dip you’ll understand the excitement. It tastes just like the queso dip at the restaurants. 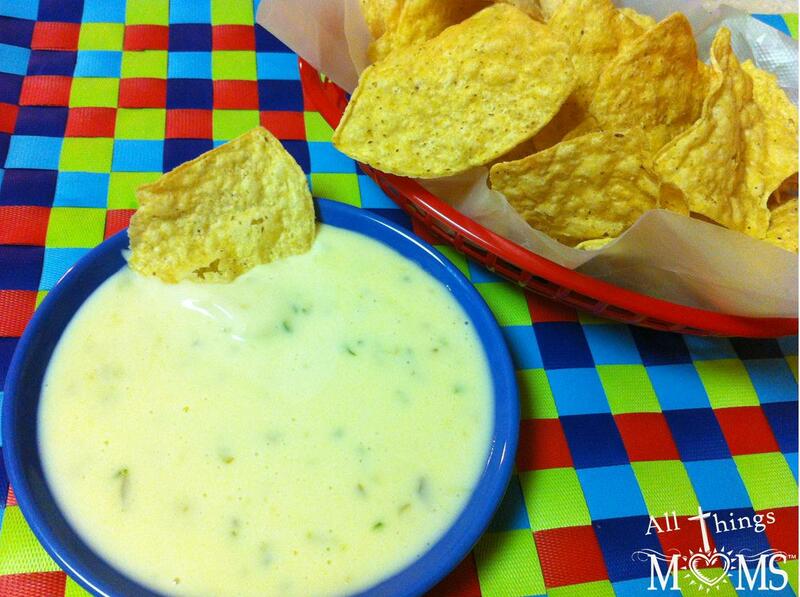 I mean JUST like it, trust me, I would know- I am a connoisseur of queso dips. I even took it over to a friends house for dinner to test it out. They agreed- no need to go buy the queso from the restaurant any more before enjoying your favorite mexican meal- you can whip up a batch of this is no time! 1. Combine all ingredients in a microwave safe bowl and microwave on high for 5 minutes, stirring every minute. 2. 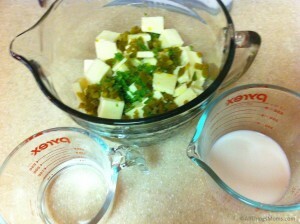 Stir together all ingredients until well mixed. It may seem watery at first but as you stir it will become perfect consistency – thick enough to cling to your chips but thin enough that the extra just drips off! Just remember – If you get addicted to this stuff you can not blame me! I’m warning you it is good! It makes a lot so if you happen to have some left you can reheat it. Just pop it back in the microwave in 30 second intervals until it is hot and melted again. I made mine in my Pampered Chef Batter Bowl because it is microwave safe. It has a lid and can go in the fridge for storage and then back in microwave to re-heat. Plus, it has the handy dandy pour spout. Ok so you had me at pickled jalapeno juice. I love that stuff so much I would drink it if it were socially acceptable. Since it isn’t, I’ll be headed to the deli counter very soon. Great pics, too! !